The IM4 Single Seat Golf Buggy is our four-wheeled alternative to the FourStar. 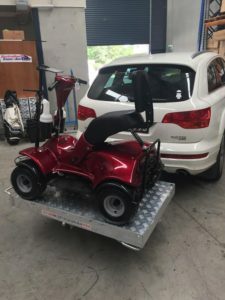 It has a backrest, stylish design and powerful motor, and like the FourStar, is easily transported to and from the golf course in your wagon or SUV. Golf is a rewarding and a challenging sport that can be played by people of all ages and all abilities. However whilst those in their youth may find going round an 18 hole course a “walk in the park” the same can’t always be said for older players, many of whom suffer from back problems, arthritis and other illnesses resulting in pain when bending and walking. 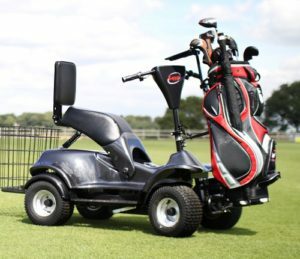 Now, thanks to i-motioncaddys unique i-m4 Electric single-seater golf buggy, you can enjoy a relaxing game of golf.. without the pain. Here at Electric Vehicles Oceania we have in stock the newest version of the IM4, offering around $500 of new accessories and improvements, none of which are available elsewhere in Australia. 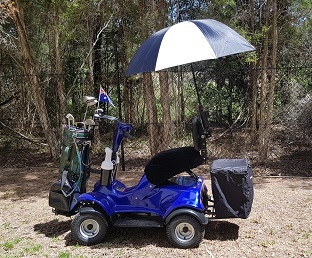 Quick release golf bag holder, for easy and fast removal/refitting of bag and holder when loading/unloading the IM4 into a car. A USB port on the instrument console, for charging a mobile phone and/or running a golf GPS for course maps, terrain, distance etc. Steering column adjustable angle settings for extra comfort to suit person size. Two-speed switch relocated to a more easily accessible position on instrument panel near the throttle. Umbrella holder and bracket relocated from in front of the rider to behind the seat for better vision and angle/position of the umbrella. 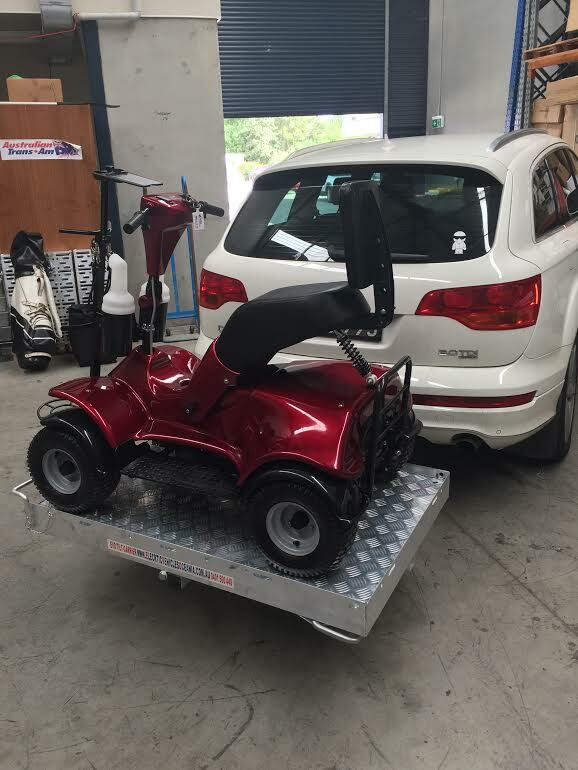 Quick release hasp and clasp for easy access to the battery and motor compartment, free-wheel connect/disconnect lever, and for ease of cleaning and maintenance. 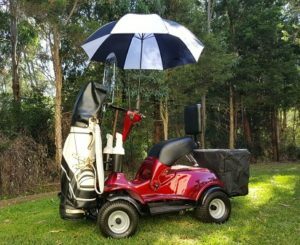 Improved golf bag holder base with “bucket” to ensure golf bag doesn’t slip or move around. WE'RE READY TO TALK WITH YOU! Electric Vehicles Oceania (EVO) are a Division of Lordco (Australia) Pty Ltd, located in Sydney, Australia.